I’ve sang the praises (and told you all about our first encounter and totally bombing my first attempt) of bread pudding here. Since then, bread pudding and I have been thick as thieves albeit mostly in theory: I’m still crazy about it, yet it’s been a long time since I last lay my eyes or hands on one. The reason is really quite simple: I find sweet breads (such as brioche, challah, panettone or my favourite Greek tsoureki), the key ingredient to bread pudding, so damn irresistible, I make a point of avoiding having them around. But even when I do, they usually disappear before I even have time to think about making anything with them. I don’t really know how it happens- it’s magic, really. One minute they’re in my kitchen screaming my name, next minute they’re gone. Magic. Coming back from Greece I found myself kinda confused food wise; I blamed it on the weather (hot, beautiful and early summer back home, half-assed springy and moody in London) and my overwhelmed tastebuds (I had spent the previous week wolfing down pretty much everything under the sun, from my mom’s pea & dill stew, to strawberry cakes and tons of ice cream). To feel better and centered, I reached for the ginormous tsoureki I’d brought with me, courtesy of my mom. 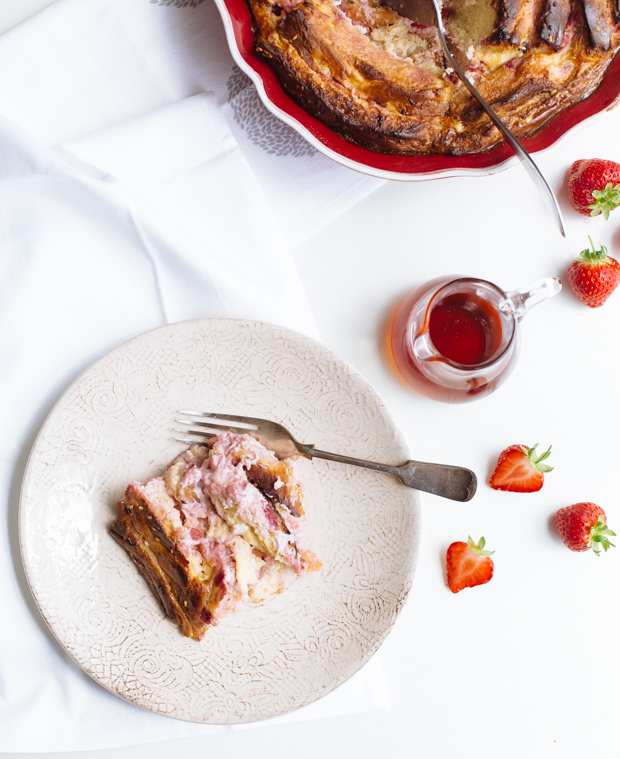 And just when I was polishing of my third slice, I had the most brilliant idea: make strawberries & cream cheese bread pudding with the remaining slices (it didn’t even cross my mind to just leave the remaining be, hell no!). 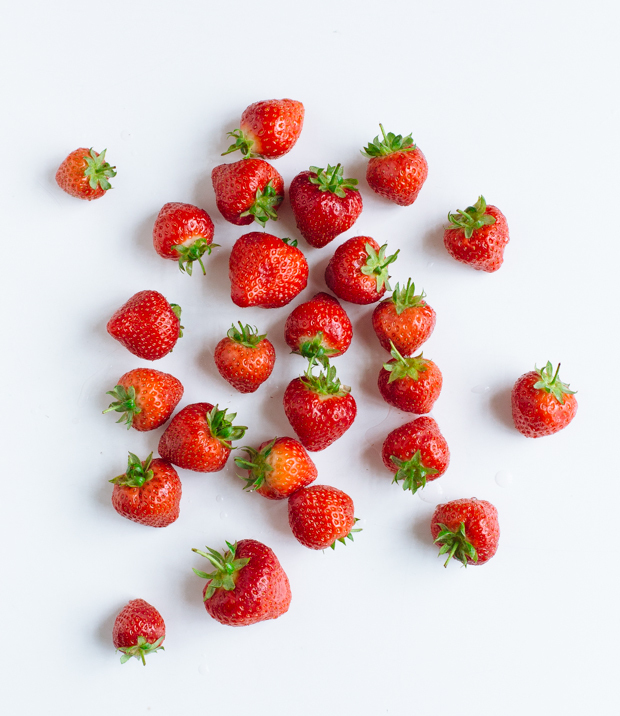 My go to version usually involves chocolate (shock right there), but this time, feeling all springy and inspired, I went the strawberries and cream route. If there was ever a match made in heaven, it’s this one. 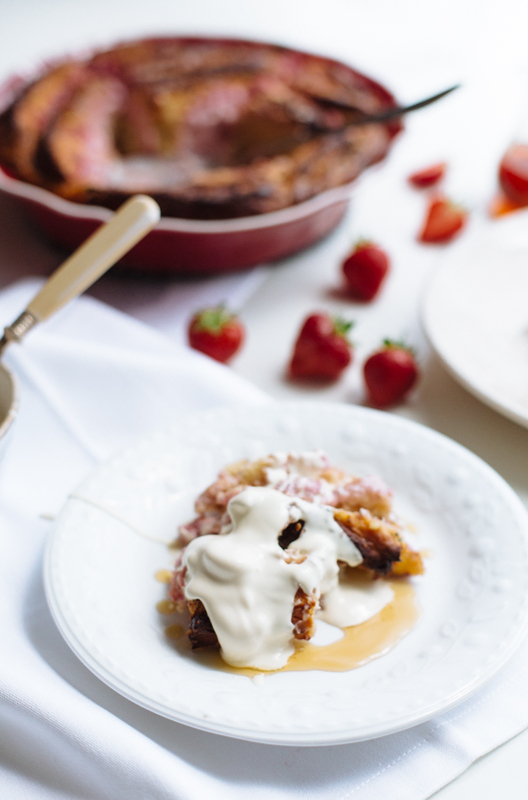 Smooth cream cheese, sweet juicy strawberries, a touch of lemon zest for balance and we’re in business. 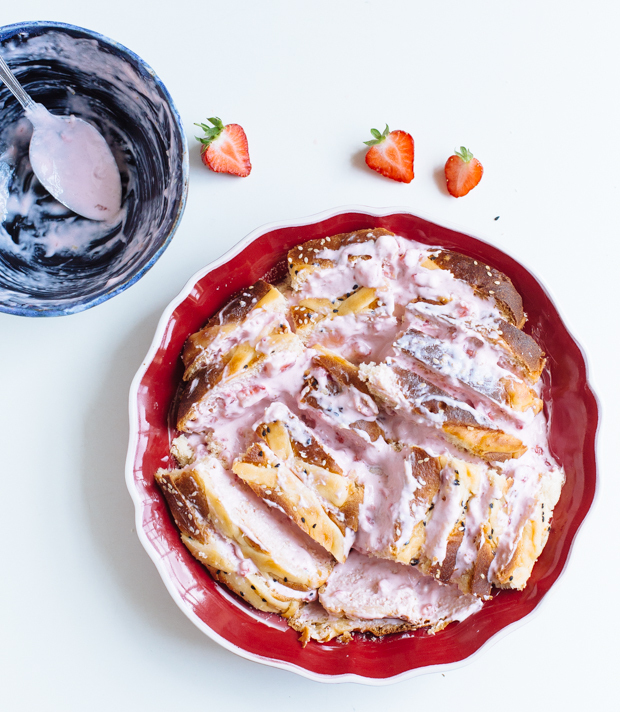 Each slice of tsoureki is covered in this delicious light pink mixture and set to the side. 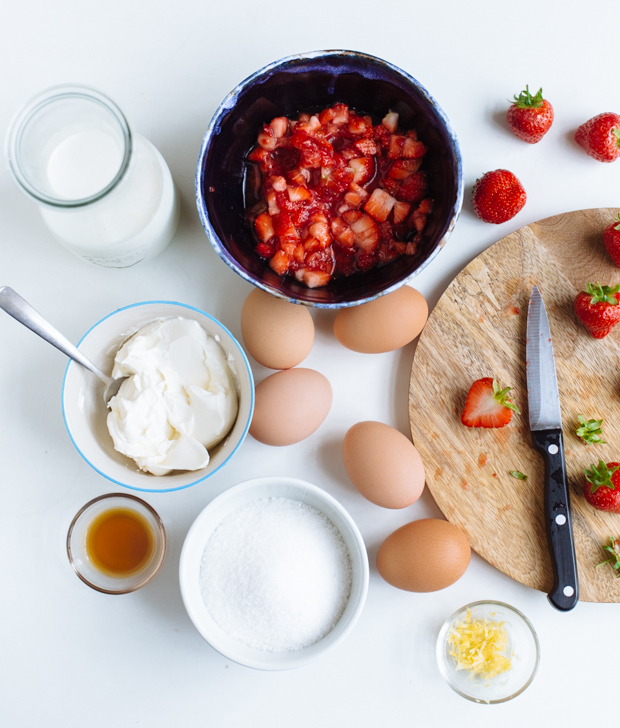 Eggs, sugar, vanilla extract, a pinch of salt and milk are then mixed together until frothy and poured over our sweet, pink strawberry & cream cheese bread. 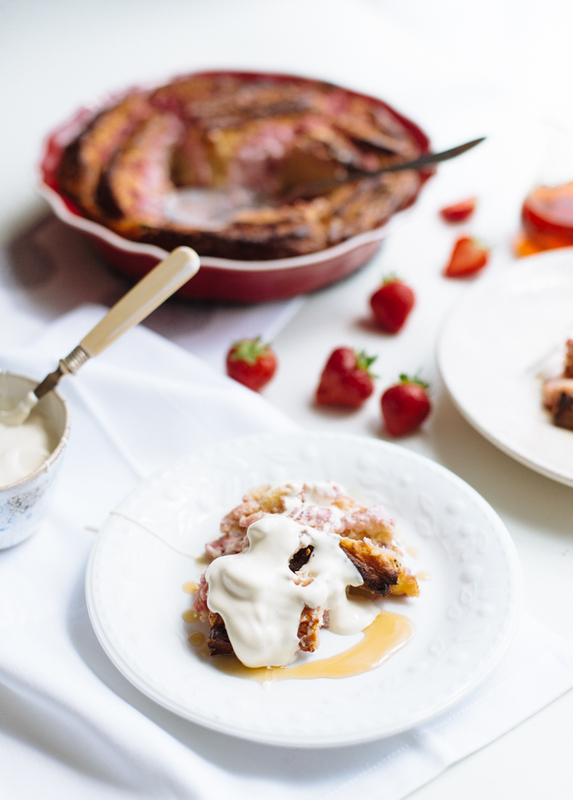 It’s smooth on the inside and just a touch crunchy on the inside, it’s sweet and fragrant and even better with a drizzle of maple and a spoonful of cream. 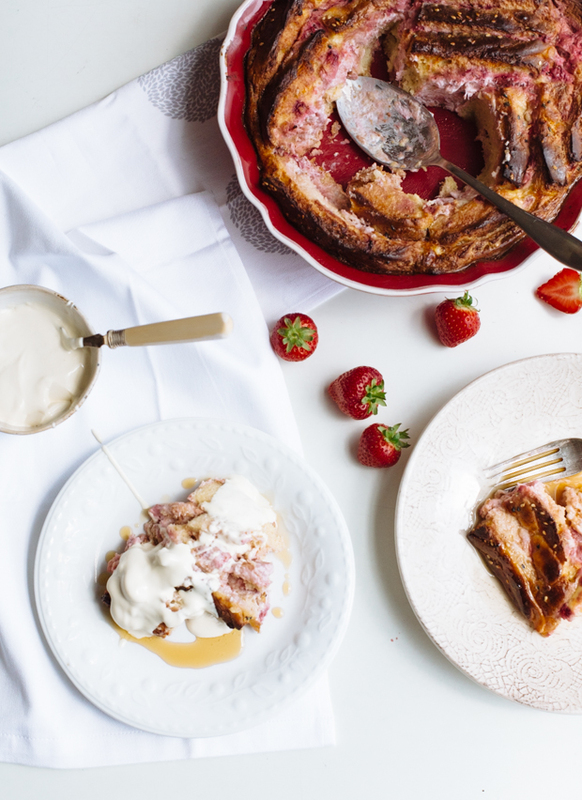 It’s strawberries & cream cheese bread pudding and it’s here for you. Preheat the oven to 200C (180C for air). Hull and quarter the strawberries and place them in a medium bowl. Add the cream cheese and lemon zest and combine. Slice the bread and cut in chunks (I usually go for large ones, as I like a bit of texture) and place in a baking dish; spread or spoon the strawberry/cream cheese mixture between the slices and set aside. Beat the eggs, sugar and milk until pale and frothy; add the vanilla extract and pinch of salt and pour over the bread slices. Allow it to sit for about 30′, allowing the bread to soak up the liquid. Bake in the preheated oven for about 40′, or until the liquid is set and the top is lightly browned. Take out of the oven, let it sit for 5′ and serve with maple syrup and double cream, if desired.